How crazy busy is your September? It can be really difficult to get back on a routine, so it’s smart to put some systems in place to make things easier for you. For some families, that means making lunches the night before (or even a whole week at a time). For others, it means running errands on the weekends to get what you need for the week. But you can save yourself a lot of time and stress by ordering online. You’d be surprised at how much better the case prices are at Amazon, especially on specialty foods. 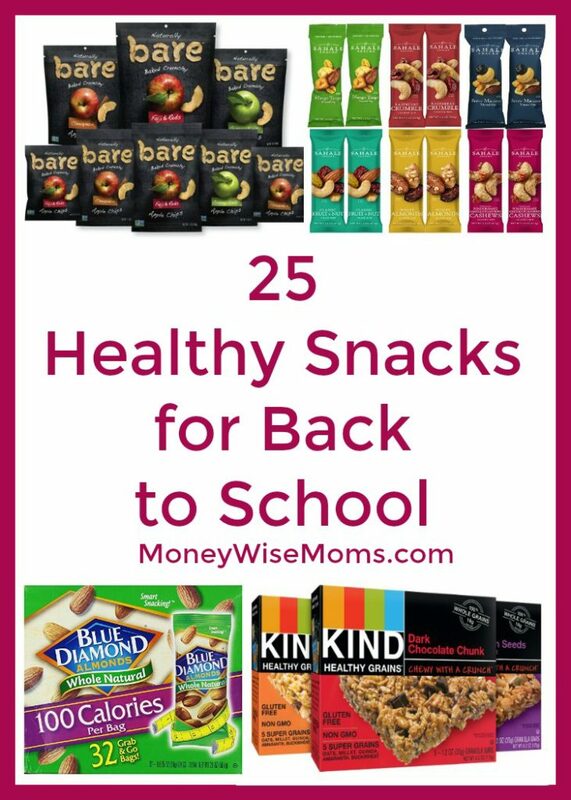 Take a look at these healthy snacks for back to school and see what you can put in your pantry for the busy weeks ahead. Amazon is a great way to stock your pantry with healthy snacks for back to school. I find that buying a case at Amazon is a lot cheaper than buying these weekly at the store, and when you can score FREE Amazon gift cards, it’s even better!